The most important basketball decision of Kevin Knox II’s young career is not expected to come until mid-April. Through the college basketball season, the Riverview, Florida, native spent his time touring the campuses of his hopeful suitors. And, he also took some time to blog about it. Knox is not the first, and he will not be the last, to partake in USA Today’s High School Sports blog. Fellow USA Nike Hoop Summit athlete Gary Trent Jr. wrote about his recruitment process this past year. In the lead-up to such a monumental decision, the blog offers some brief insight into the player’s life, and for Knox, ESPN’s No. 7 ranked prospect in the class of 2017, becoming a content creator has been something he has enjoyed. In Knox’s most recent post from March 10, he discussed sitting behind the Tar Heels bench for the Duke at North Carolina game from Chapel Hill, North Carolina, and meeting with coach Mike Krzyzewski the following day. Of course, he does not spill all the beans with what transpires, but the look inside is enough for certain fanbases. Only four major fanbases are really paying attention to Knox now, as the 6-foot-9, 205-pound scoring phenom has his list narrowed down to four schools – Duke University, Florida State University, the University of Kentucky and the University of North Carolina. “It’s really hard getting to the point of where you’re down to four or five schools. It’s tough. It’s been a rocky road at times in this process, but I’m glad I’m down to four schools I really like,” he explained, and he is expected to make his decision between April 10-16. Amongst the texts from players and coaches, past teammates Trent and Wendell Carter Jr., both future Duke Blue Devils, have been in Knox’s ears about moving to Durham, North Carolina. The trio built a close friendship more than two years ago at training camp with USA Basketball, and have maintained their relationships in the time since. Knox is a two-time gold medalist with USA Basketball, and participated in the past three USA Men’s Junior National Team October minicamps. Most recently, he started six games for the USA Men’s U17 World Championship Team that was a perfect, 7-0 at the 2016 FIBA U17 World Championship in Zaragoza, Spain, and averaged 11.2 points, 4.5 rebounds and 2.2 steals per game. In 2015, Knox was a member of the USA U16 National Team, capturing gold with a 5-0 record at the 2015 FIBA Americas U16 Championship in Bahia Blanca, Argentina. He started four of the five games and averaged a team fourth-best 10.6 ppg. and 4.6 rpg. Knox is one of three members of the 12-player 2017 USA Nike Hoop Summit team with more than one gold medal – the others are Trent and Carter. He found out he would be included with this team while at school and immediately sent a screenshot of the notification to his parents. The Naismith All-America second team selection, who is also competing in the McDonald’s All-American game and Jordan Brand Classic, is excited yet again to don the USA jersey. Truth be told, Knox has been showing out for onlookers for quite some time. Whether it was the night he drilled seven 3-pointers and scored 40 points and secured 20 rebounds in front of coach Roy Williams in his class 5A state semifinals earlier this month, or the 28 points he scored against All Ohio Red on the Nike EYBL Circuit this past May, Knox has had no trouble getting buckets. He surpassed the 2,500-point mark this season at Tampa Catholic High School in leading the Crusaders to their first state championship game appearance since 1995. He averaged 28.9 ppg. and 11.3 ppg. in his senior campaign, full of highlight reel slams and swift moves in transition. That is where Knox thrives, on the move, swallowing up large amounts of space in similar capacities to two of his favorite players – Kevin Durant and Giannis Antetokounmpo – who are, “real long, real tall and pretty slim, but can play any position on the floor. Knox averaged a double-double in points and rebounds from his sophomore through senior seasons at Tampa Catholic, so doing it all is part of his game. But, playing style is very important to him, too, and the school of his choice is not going to have a slow and methodical approach. That style of anything is not in Knox’s blood. His dad played wide receiver at Florida State University in the early 1990’s, winning the 1993 National Championship with the Seminoles before playing one season in the NFL. The younger Knox also had some gridiron success, starring at quarterback for Tampa Catholic, but ultimately, basketball became the only route. His dad has been his biggest role model since he was young, teaching him the sport of basketball, giving him tips and now, watching film with him. He mentions this process includes more learning than one would think – learning about yourself, learning about others and learning where your future is meant to be. Knox is not wrong. 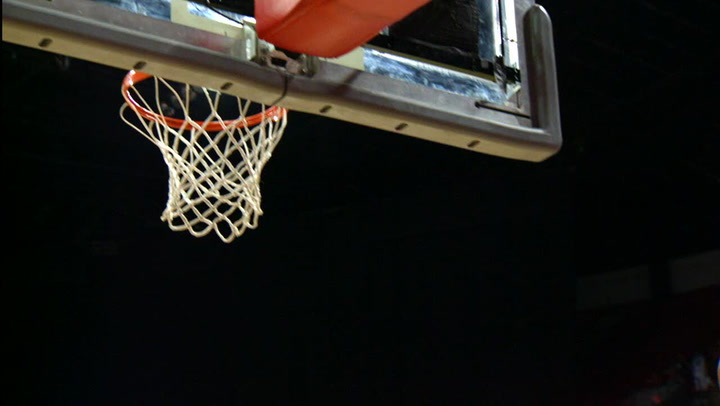 Basketball has always had its ups-and-downs. 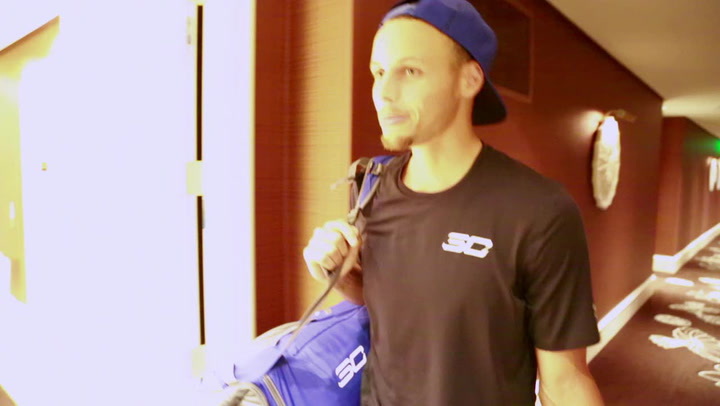 For him, he is only focused on the positives, and the next step may be the most exciting yet. Lucky for him, he has a blog to talk about it. Don’t miss Knox and his USA teammates in the April 7 Nike Hoop Summit, and get your tickets now: http://bit.ly/HoopSummitTix. Kevin Durant goes up for a shot during the 2014 USA Basketball Showcase, but Anthony Davis will have no part of it. 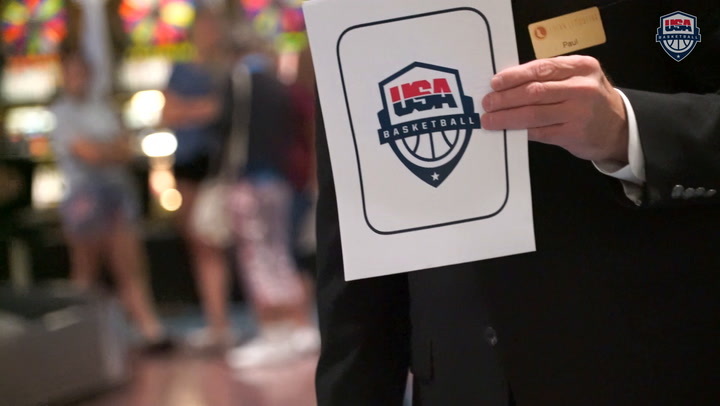 Go behind the scenes from a week of practices in Las Vegas as the 2014 Men's National Team prepares for the 2014 FIBA Basketball World Cup. 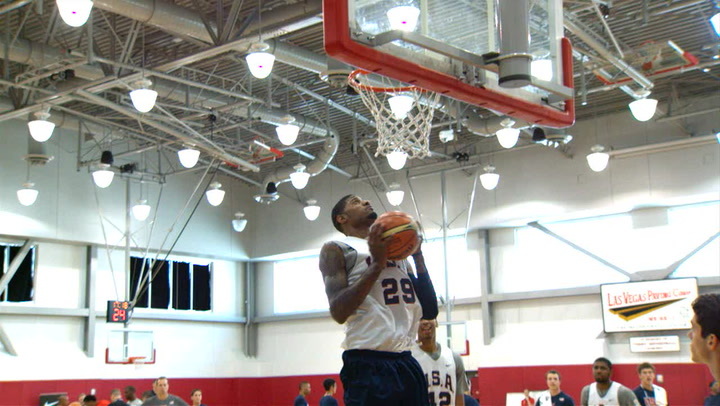 There have been plenty of high-flying dunks during the Men's National Team practices in Las Vegas this week. 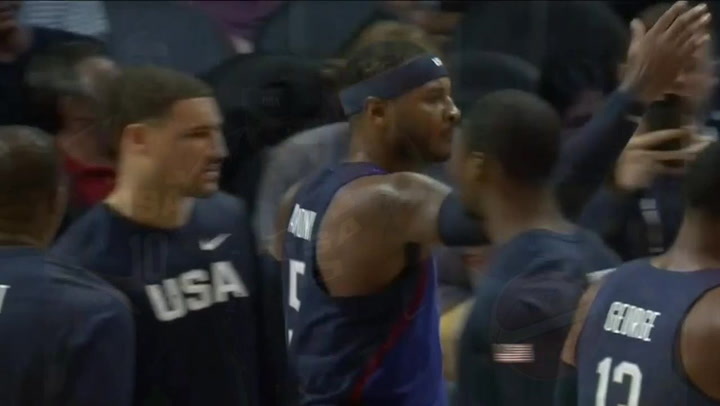 The NBA's Phantom Cam caught them all in super slo-mo.